Empowering athletes to create successful business opportunities after their pro career. Anthony Simmons is an Oakland, CA native who was drafted by the San Diego Chargers in 1984 after spending 4 years as a star player at the University of Tennessee. Anthony has also played football with the Dallas Cowboys, the Buffalo Bills and the Canadian Football League. In 1994, Anthony started an agency serving homeless youth in Atlanta, GA and has worked and volunteered as a Youth Counselor for Larkin Street Youth Services in San Francisco, CA since 1992. Anthony has been a guest speaker on behalf of the NFL for the United Way, and has also spoke at the Boys and Girls Club Charity Event, athletic departments throughout the Oakland Athletic League, and Oakland’s and South San Francisco’s Juvenile Detention Centers. The mission of Pro Athlete Business Group is to empower athletes in creating opportunities in furthering their careers after sports. As a former NFL player, Anthony understands that professional athletes are not always provided with guidance regarding investments and financial security. Whether an athlete plays for 1 or 10 years, it is inevitable that the athlete will one day retire from professional sports. Pro Athlete Business Group is dedicated to supporting athletes in making that transition. 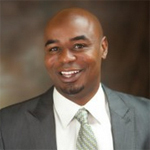 Anthony is eager to assist athletes in furthering their career after sports through Pro Athlete Business Group. Since 1999, Dr. Bryant has served as a life coach, counselor, and mentor to professional teams, athletes and their families. 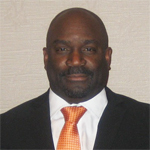 Supporting athletes on and off the field, Dr. Bryant provides guidance and counseling for developing positive life skills, techniques to handle the challenges of a high-profile lifestyle, in addition to post-career and retirement transition management and planning. Known to many athletes as “The Players’ Pastor”, Dr. Bryant also provides confidential Life Management services including crisis intervention, conflict resolution, family/relationship counseling, and assistance in developing a PERSONAL GAME PLAN for success. He is the Founder of Good News Today, a non-profit enterprise that provides education and empowerment through conferences, workshops, television, radio and social networking venues, and also provides clients with avenues of engagement and partnerships with local and national agencies. He is the Executive Producer of the highly acclaimed talk show known as “The Shout Out Show”, which features athletes sharing positive stories of victory and success on and off the field. Dr. Bryant is the Northern California Coordinator for the Rainbow/PUSH Coalition, and serves as a liaison to the Reverend Jesse Jackson. He is the author of two books, “It’s Work, But It’s Worth It” and “Family Matters”, and contributing author on a variety of other books and online publications. He has worked with several professional teams assisting with community engagements, diversity development and other projects, and has a wealth of expertise working with players from all major sports to reach the ultimate goal of WINNING IN SPORTS and WINNING IN LIFE! Reggie Green, an Oakland, CA native, graduated from Seattle University 1977 where he played Division I basketball and received his B. A. in Social Services. Reggie spent 8 years overseas in Europe playing professional basketball. Since returning home to the US, Mr. Green became a licensed realtor in 1985 and opened his own office in 2006, Green Mountain Real Estate. Mr. Green now resides in his hometown Oakland, CA. Ed Hill has been an exceptional athlete since high school. In 1979, he joined the Florida A&M University (Rattlers) Football team. In 1984, he played in USFL (Tampa Bay Bandits). For the past seven years, Ed has owned and operated Muirfield and Skye, a Consulting firm in Miami Florida, where he currently resides. In the past fifteen years, Ed has participated in several charity events and fundraisers, involving at risk children and he is currently a volunteer for the Make a Wish Foundation, where he has granted wishes for several mentally and physically challenged children. Ed was eager to answer Anthony Simmons call to get involved with Pro Athlete Business Group, and assist athletes in eliminating their financial worries. Kevin Brown former star scholastic athlete Football, Baseball, and Basketball from William Chrisman High School in Independence Missouri. Earned a full scholarship in Football to the University of Idaho for the Big Sky Champions Vandals in 1992. Played professional Football for two years after earning his degree in Sociology and Criminal Justice. Had a brief stint with the Arizona Cardinals and one year with the Rams affiliate in Germany where he lead the league in receiving touchdowns in 1996. After injuries cut his playing career short he worked for the PGA and the NBA (Houston Rockets) then started his own Sports Marketing company after joining the NFLPA Retired Players, is now a VP of the NorCal NFLPA. The past ten years his company Epiphany Sports Marketing has done events for NFL Hall of Famers, MLB stars and Charities around the country and has teamed up with Anthony Simmons and the Pro Athlete Business Group. Look up Epiphanysportsmarketing.com to see all the lastest in the sports marketing arena.